With rescuer training, volunteer recruitment sessions and inductions all this week, it has been an extremely busy week even without the rescues. There have been two major and distressing rescues over the past week. The first was of a large adult grey seal over 7ft long on Eastbourne Beach. 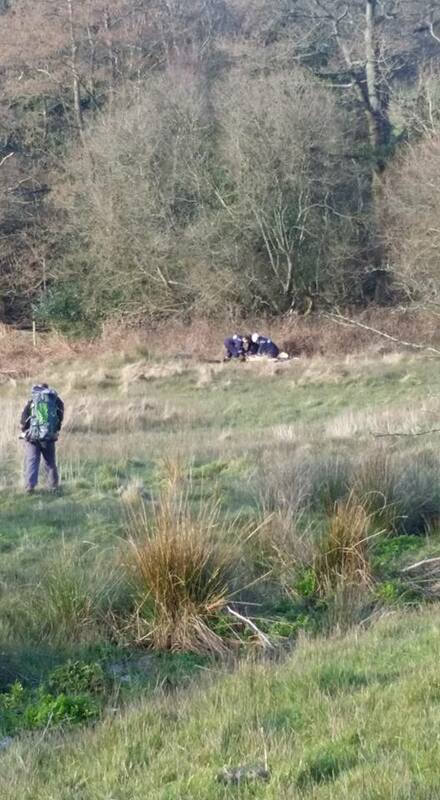 We understand from the RSPCA that the seal has been in the area for over a month. We were first made aware of the seal when it appeared on Birling Gap beach over a week ago, unfortunately as the tide was coming in quickly and the seal so close to the water, we didn’t have enough time to get a team together to catch the seal, so it disappeared back out into the sea. We had a few reports of the seal at the base of Beachy Head but the tide again stopped us attending. Eventually the seal turned up on the beach at Holywell in Eastbourne on the high tide. WRAS’s Rescue Manager Chris Riddington attended on site to co-ordinate a rescue attempt. We hoped that we might be able to get the seal into one of only a handful of facilities in the UK capable of taking in large adult grey seals. 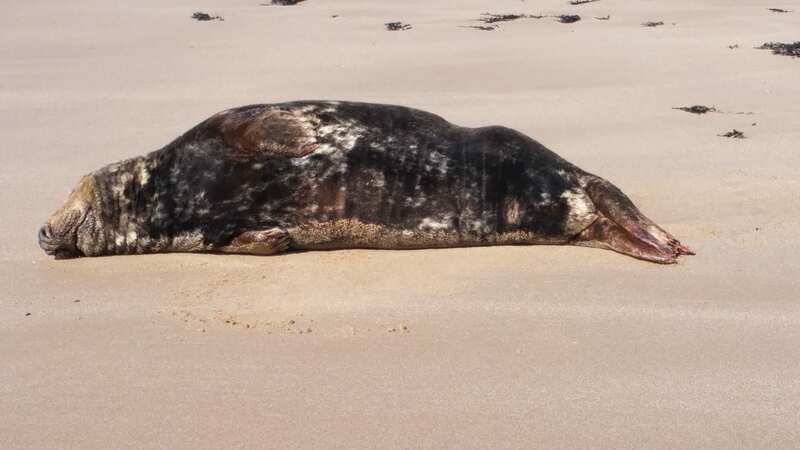 We had already sent photos of the seal and its condition when at Birling Gap to leading veterinary surgeons around the UK with British Divers Marine Life Rescue as well as consulted the RSPCA and the Zoological Society of London. Sadly everyone was coming back with the same answer that the seal was in too bad a condition and would probably not survive the long journey nor survive treatment. On Eastbourne Beach Chris co-ordinated the incident with British Divers Marine Life Rescue, Eastbourne Council, Sussex Police, WRAS’s Vet and a firearms expert. 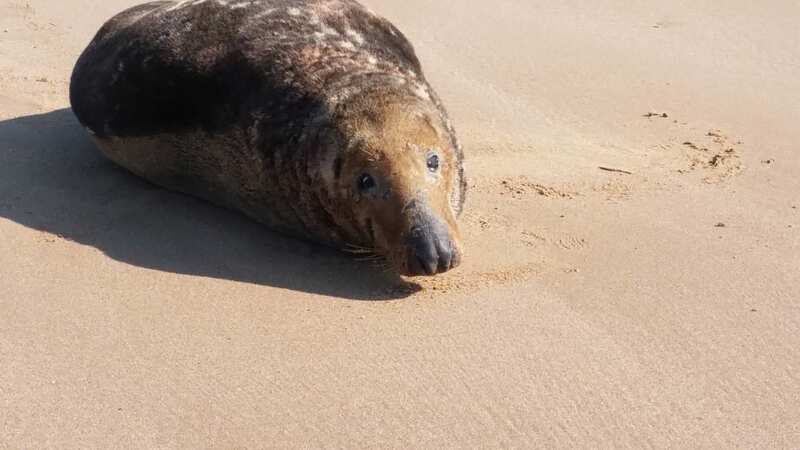 The seal was too close to the water to be suitable for catching and if the seal took rescuers into the water it would have made euthanasia impossible, so a firearms expert was called to shoot the seal to put it out of its suffering quickly and efficiently. A section of beach was closed and a screen erected. It was a horrible rescue but the results of a necropsy undertaken by the Zoological Society of London agreed that euthanasia was the correct course of action. The seal had damage to its jaw, blind in one eye, its body condition was poor and there was no food in the seal’s stomach and it had not eaten for some time. This was one of the most distressing incidents we have had to deal with. 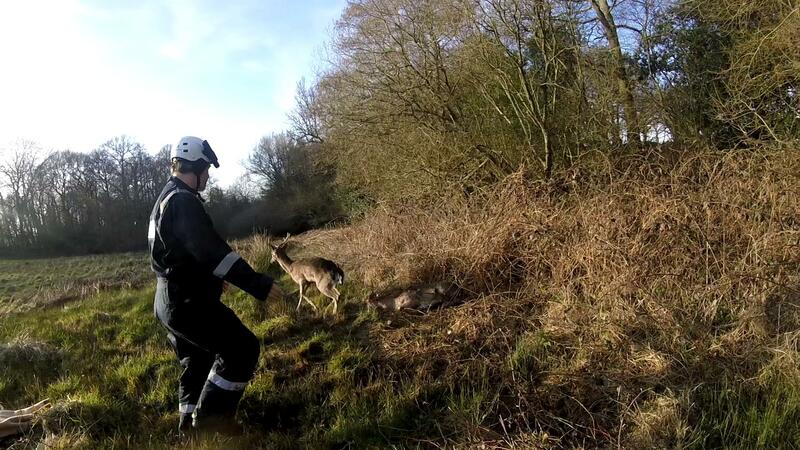 The second rescue was an unusual incident involving two deer with their antlers entangled together. 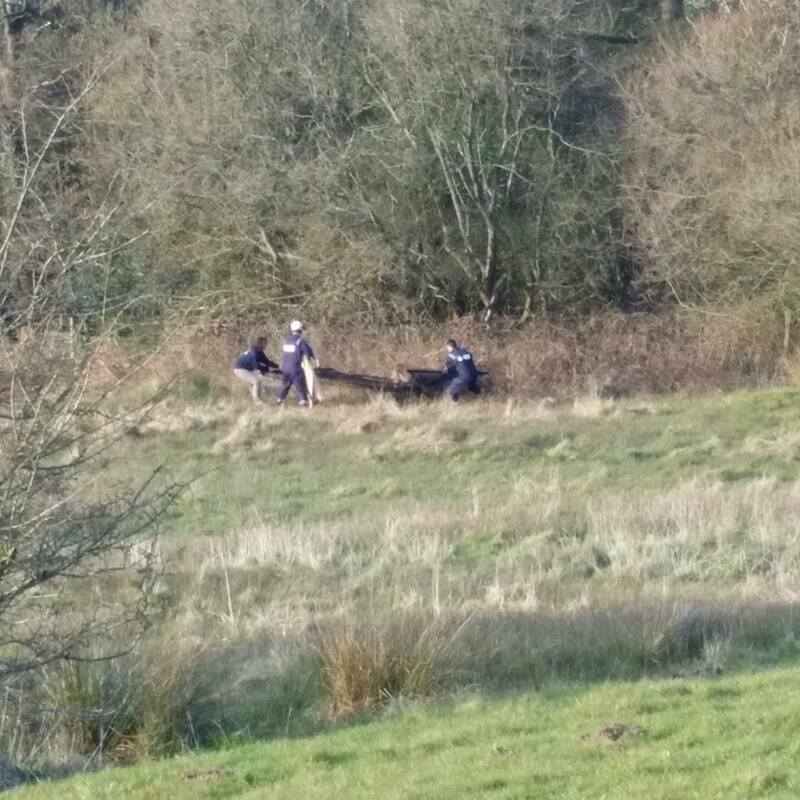 Dog walkers discovered the two deer in a field off Bakers Lane, Dallington. We sent two ambulances and four rescuers. 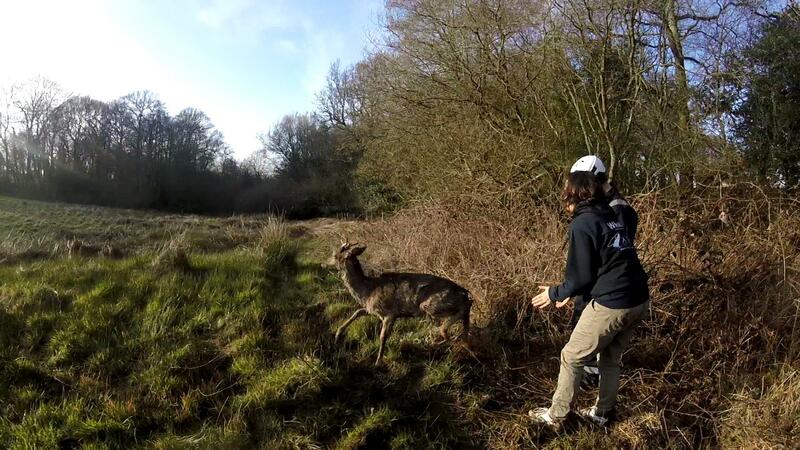 When we arrived one of the deer was on the ground with the other standing and pulling the other deer around like a toy. 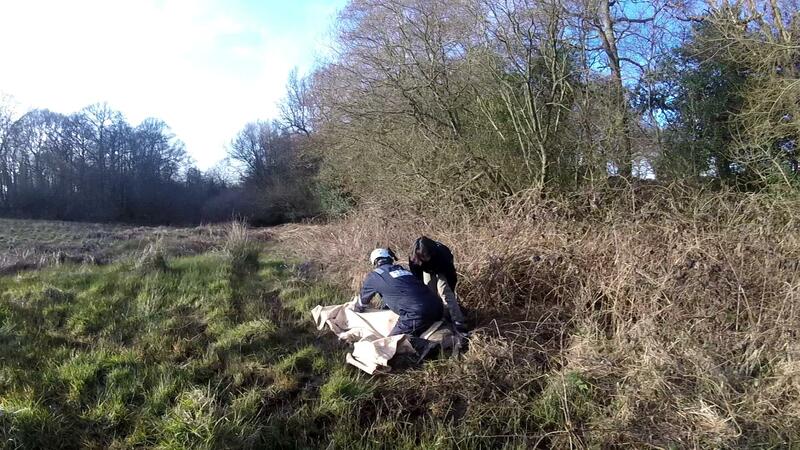 We quickly got our equipment together and Chris Riddington and Kathy took the walk-to-wards net whilst I approached with a large blanket to help secure the deer. It’s hard enough trying to gain control of one deer, so trying to do so with two is so much harder and you really have to choose your moment. The deer were exhausted so we had to be as quick as possible to avoid them having a heart attack. It took us just under 10 minutes to cut the electric rope wrapped round the antlers free, although it seemed like a lot longer. Kathy and I concentrated on controlling a deer each whilst rescuers Keith Reed and Chris cut away at the electric rope. When it is so tightly wrapped round the antlers it can be very difficult to remove. 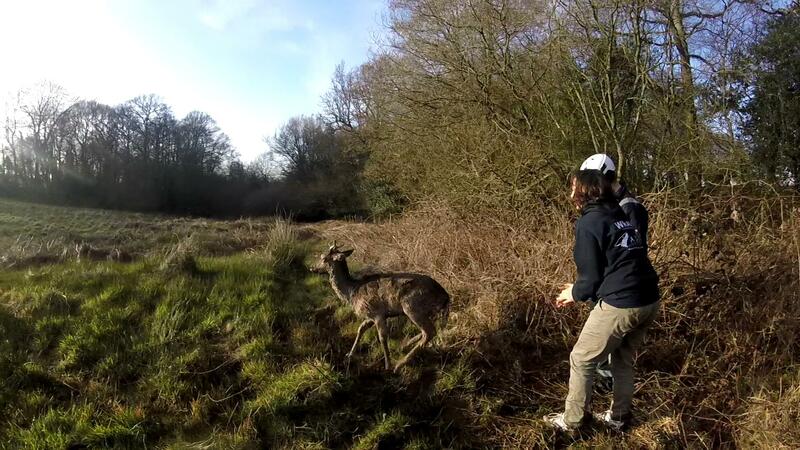 Once the deer were separated from each other rescuers, Chris and Keith backed off leaving Trevor and Kathy to release the deer in a carefully controlled manner to avoid injury. 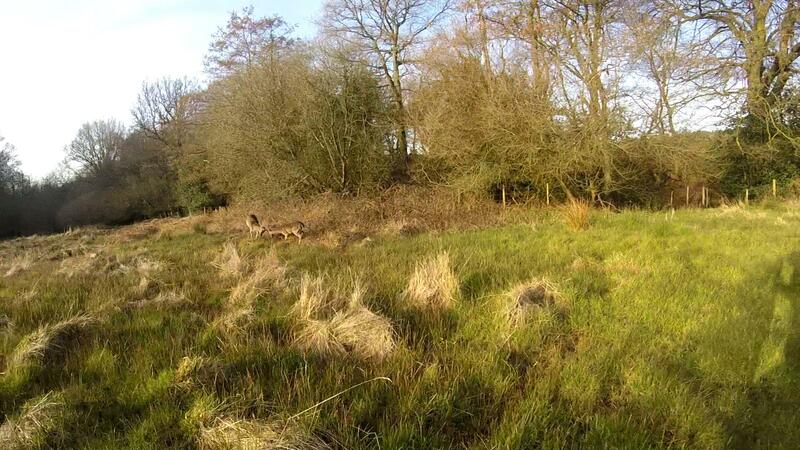 We were not too surprised when the deer did not get up straight away. They were both exhausted and needed a bit of encouragement but they were soon jumping to their feet and it was really nice to see them run off into the setting sun. We have also had numerous other calls including a fox from Hailsham with a damaged tail and rear legs. The fox is likely to lose the tail but it is hoped that the wounds on the rear leg will heal. Another road casualty Fox from Seaford died en route to the vets sadly. 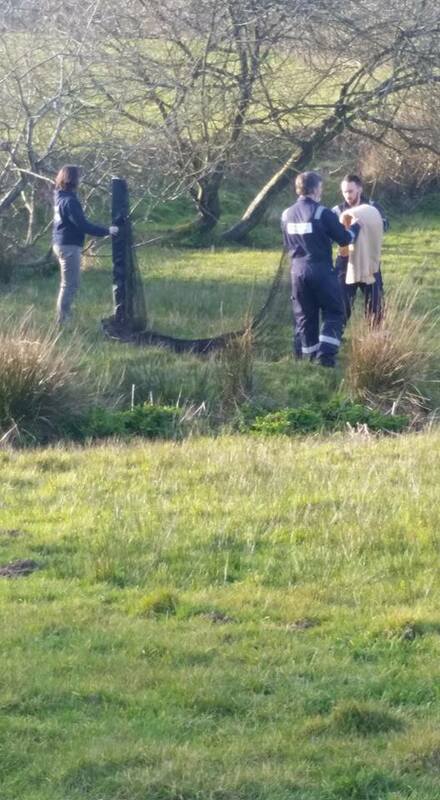 A swan from just north of Brighton was rescued after being attacked by a pair of swans. The swan distressed and had minor wounds around its head but nothing serious. There was some discolouration on the feathers but when washed this was luckily just dirt. 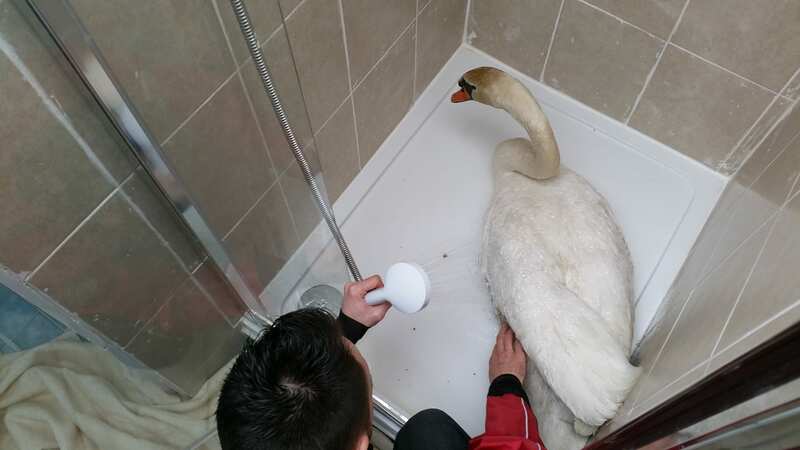 The swan was put in our shower and had its waterproofing checked before being released into a non-territorial flock of swans. We have also had two more fox cubs, two more baby rabbits. A couple of hedgehogs, several pigeons and doves to name just a few have also come into care this week. « Malta Diary: Plunging necklines and bikinis replace “Ghonella”!